India Inc has been crying hoarse about a slowdown that has hit their margins miserably. Be it rising raw material cost, a weakening rupee or higher taxes, all these factors have pinched most companies. But there are a few companies that have weathered crisis and have delivered good financial growth. 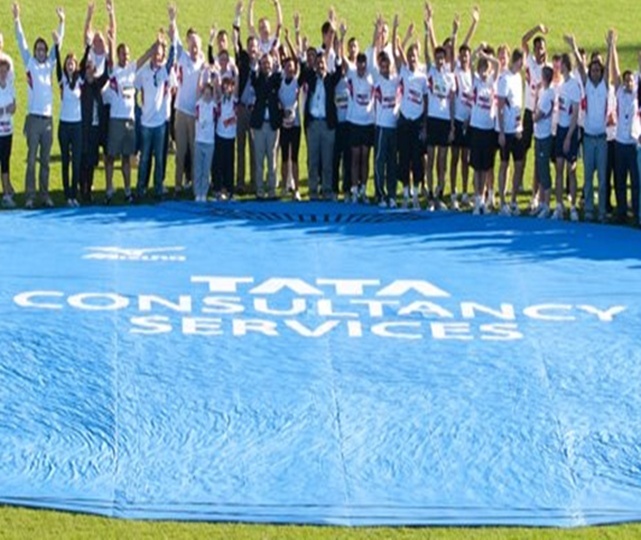 TCS has around 3,00,000 of the world’s best-trained consultants in over 45 countries. The IT service provider’s stock price has surged over 70 per cent in the past one year, outperforming the Sensex. Despite a slowdown, TCS is bullish in sustaining margins and revenue growth. Being the country’s largest gas transmission and marketing company, GAIL constantly explores opportunities to expand in global markets. The state-run firm already has a wholly-owned subsidiary in Singapore for managing investment abroad. GAIL has an excellent financial track record. The company has recently developed corporate growth strategy for the period 2011-20 as it aspires to become an integrated hydrocarbon major with significant upstream and downstream interests, says the company website. Image: GAIL has an excellent financial track record. 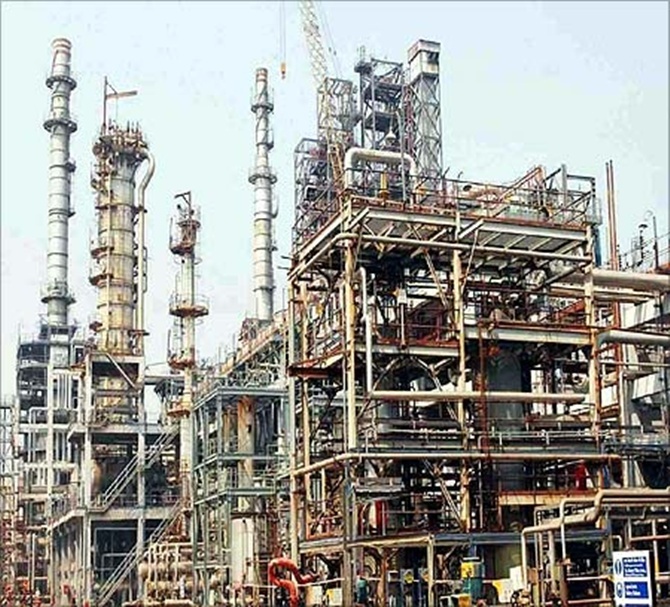 MRPL has undertaken expansion of its crude processing unit to meet fuel demand in the country. After raising the capacity by at least 40 per cent, MRPL, a unit of upstream firm ONGC, will be able to process 420,000 barrels of crude a day, the company’s chairman and managing director told media a few months ago. MRPL has high hopes from the expansion plan which entails an investment of upto $1.4 billion as it will allow the company to process crudes into high value petroleum products at cheaper rates. Also, shares of MRPL have gone up over 40 per cent to Rs 65.35 and analysts remain bullish on the company’s overall performance. Image: MRPL is looking to expand business in India. 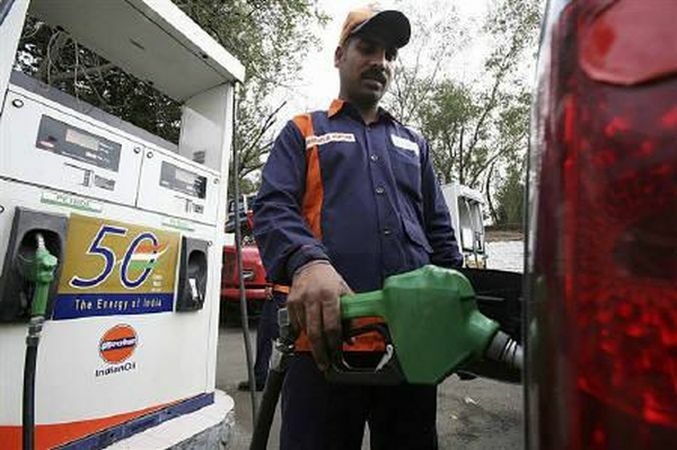 There was a time when Bharat Petroleum Corporation Ltd (BPCL and its peers were losing Rs 400 crore (Rs 4 billion collectively) daily due to sale of petroleum products at subsidised rates. But this oil marketing firm has seen its financial’s improve with recent petrol price hikes which has brought down its losses. The firm is keen to treble its refining capacity to around 9 million metric tonnes for which it has earmarked $2.8 billiion. Image: A worker rides a bicycle at the Bharat Petroleum Corporation Ltd. refinery in Mumbai. Like its industry peers, Hindustan Petroleum (HPCL) too has undertaken capacity expansion activities to enhance its refining capacity. The firm wants to emerge as an even more stronger player than what it is today. It remains focussed on making its distribution network stronger, operation profitable. HPCL is also looking at buying exploration assets overseas. Reliance Industries is at set to roll out its 4G telecom network as it has recently acquired one of the largest media firms-The Network18 Group. Along with 4G services, RIL is in the midst of rapid expansion in other business segment like petchem, retail or refining business. 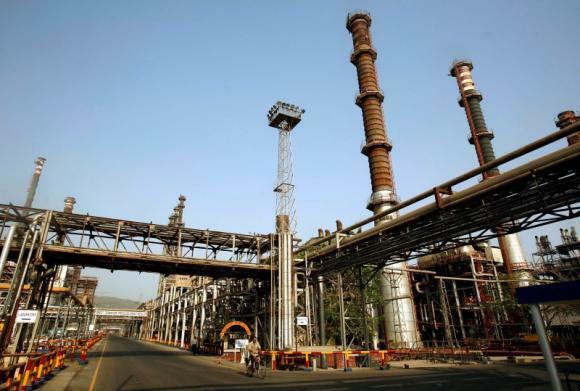 The country’s largest private sector firm is sitting on a cash pile of Rs 81,559 crore (Rs 815.59 billion) and has assets worth (Rs 3185.11 billion), according to RIL’s website. Also, the energy giant dominated 14 per cent of India’s total experts. 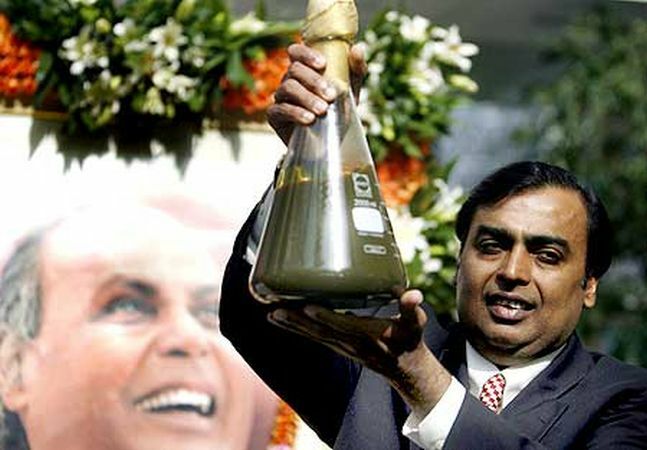 Image: Reliance Industries is sitting on a cash pile of Rs 815.59 billion. Indian Oil Corp (IOC) is looking at expanding its refining capacity along with setting up polypropylene units in Gujarat and Panipat. The state-run oil marketing firm will invest over Rs 56,000 crore (Rs 560 billion) in the next three years for its various projects which are nearing completion. IOC continues to lead the set of Indian companies in the Fortune Global 500 listing of the world’s largest companies by sales for the year 2014 with an overall ranking of 96. The state-run power generation and distribution company boasts of lowest attrition in the industry. With staff strength of over 25,000 employees, NTPC takes utmost care to reward right talent and constantly undertakes programmes that can enhance skill sets of its employees. 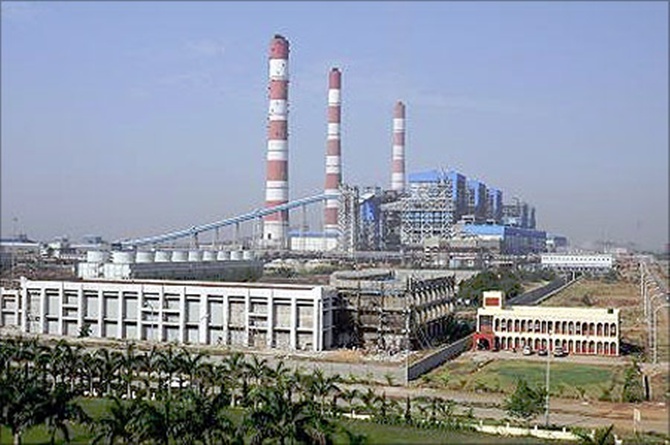 Image: NTPC is one of the fasted growing companies in India. L&T is India’s largest construction organisation with over 65 years of experience and expertise in the field. The heavy engineering and construction major figures among the World’s top contractors and ranks 35th among top global contractors and 60th among international contractors as per the survey conducted by Engineering News Record magazine, USA. Many of the country’s prized landmarks – its exquisite buildings, tallest structures, largest airports/ industrial projects, longest flyovers, highest viaducts, longest pipelines including many other benchmark projects have been built by L&T Construction. 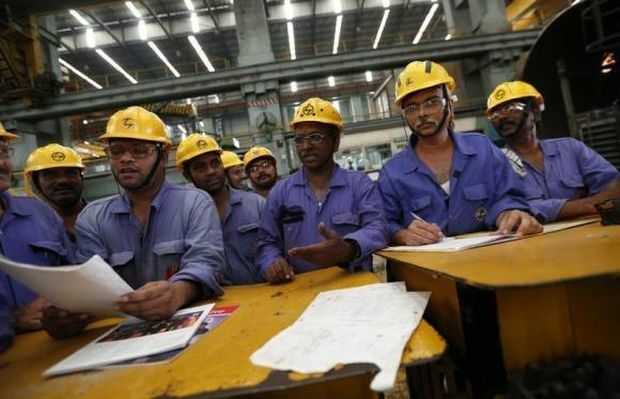 Image: Employees check papers during their meeting after their lunch break inside the heavy electrical manufacturing unit of Larsen & Turbo in Mumbai. 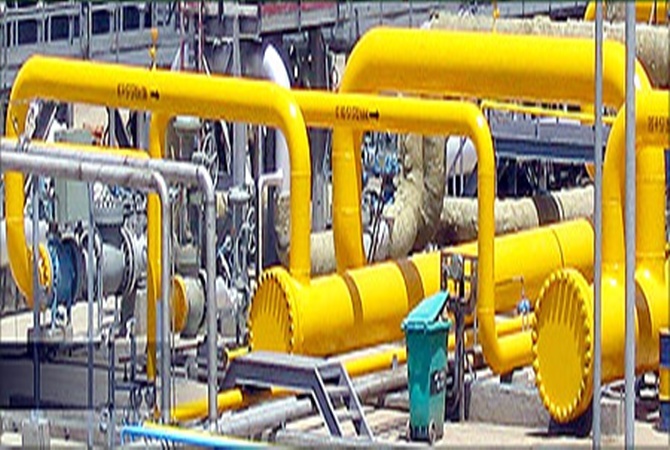 ONGC is one India's largest oil and gas exploration and production companies. The state-run upstream company is constantly looking out to buy assets abroad. The company was founded on 14 August 1956 by the govt, which currently holds a 69.23 per cent equity stake. ONGC is ranked 22nd among the Top 250 Global Energy Companies by Platts. 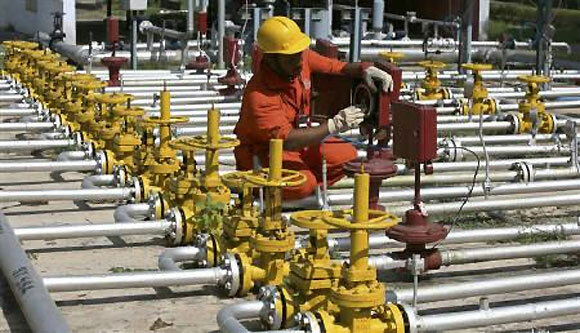 Image: A worker working at an ONGC plant.